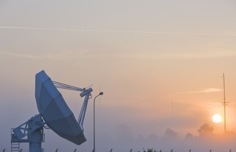 Non-geostationary satellites will dominate the supply of satellite capacity over the next decade but will only contribute one sixth of satellite communications revenue, raising questions over the profitability of non-GEO initiatives, according to Northern Sky Research (NSR). According to NSR’s Global Satellite Capacity Supply & Demand, 15th edition report, Non-GEO satellite annual capacity revenues will increase dramatically to US$4 billion by 2027. Non-GEO satellites offer attributes including low latency, full mesh connectivity, or high-bandwidth per terminal, and will be key to unlocking new greenfield markets. However, said NSR, capital expenditure on projects is considerable, and new revenue drivers might not be enough to pay back initial investments. Consequently, there is a risk of price disruption for the entire industry if these new players dump capacity to poach customers from legacy businesses, the research group warns. Non-GEO satellite initiatives are expected to add over 25Tbps of capacity over the next decade, according to NSR. “According to their schedule, LEOs need to start offering concrete examples of progress, but results are still mixed,” said Lluc Palerm, NSR senior analyst and report author.